Discussion in 'UKBF Marketplace' started by UniHost2u, Jul 22, 2017. World 1st VOIP WordPress Themes. 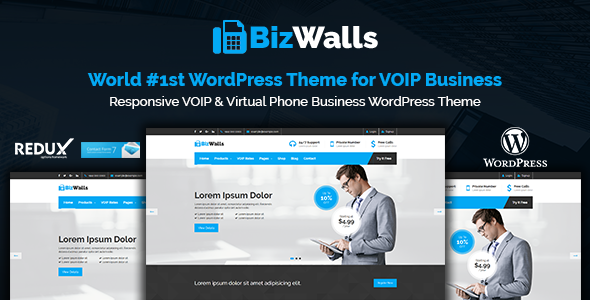 BizWalls is a MultipurposeTotally Responsive VOIP & Virtual Telephone Company WordPress Themes. This Themes designed for All types of VOIP Service, Telecom Service, Cloud Server Business & Internet Hosting Business. It’s also assistance &amp integrated (Totally free!!!) VOIP Pricing Calculator Plugins ( Free $49 USD ) and Virtual Phone Number Selling Form ( Free $49 USD ) WordPress Plugins.